Simply put, malware is software created for malicious purposes. While malware can affect computers, it can also be used to infect websites and prey on website visitors. 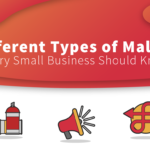 In this guide, we’ll be discussing website malware. How do malware infections occur in the first place? The most common culprit is website vulnerabilities. 2. How do website vulnerabilities cause malware? As the name implies, website vulnerabilities are a weakness in website code that cybercriminals can exploit to gain unauthorized access to a site. Common vulnerabilities include SQLi, XSS, CSRF, command injection, and file inclusion. Check out this blog for a deeper dive into each of these vulnerabilities. Cybercriminals can deploy programs, called bots, that find vulnerabilities automatically. This is one reason SMB websites are common cyberattack targets – even if a cybercriminal has never heard of your website, they can still target you through automated means. Keep your applications and plugins updated. 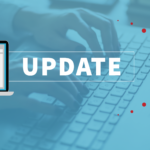 Updates often include critical security patches, so staying on top of updates ensures you are running the most secure versions of your applications. Use a web application firewall (WAF) to block bad bots looking for vulnerabilities. Use a website scanner to detect vulnerabilities and possible malware infections. There are also automated patch management tools available to CMS websites (content management system), like WordPress, Joomla!, and Drupal. This means website vulnerabilities are automatically patched in between core CMS updates, so site owners can update their sites on their own time. Should a vulnerability lead to a malware infection, the malware will need to be found and removed. It is possible to find and remove malware manually. You can familiarize yourself with your website’s code and learn how to check your website for malware, then remove the malware. However, this requires a line-by-line review of website code to ensure that the malware is successfully found and cleaned. This can be very time consuming and difficult to do accurately. Ultimately, we highly recommend using a website scanner to find and remove malware. Urgency is of the utmost importance when dealing with a security incident, so you’ll need a solution that can act quickly and accurately. SiteLock reviews websites for malware 24/7/365, and can remove malware automatically. Our malware scanner is backed by a threat database of 10 million malicious signatures that is updated every day. 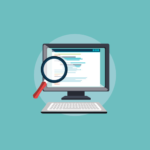 Even if you are familiar with your website’s code or work with someone who is, using a malware scanner to review your code can save you a significant amount of time and money! Of course, an ounce of protection beats a pound of cure, so it’s best to take a proactive approach and stop malware infections before they occur. 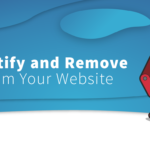 Fortunately, protecting your site from malware just takes five simple steps. Install updates and patches as they are released. As we discussed earlier, updates to plugins and applications often contain critical security patches, so it’s highly recommended that you install them right away. If you use an open source CMS such as WordPress, an automatic patching system can help install updates in a timely manner. Additionally, only use plugins you can trust – malware sometimes lurks in “fake” plugins. Block malicious bots with a web application firewall (WAF). Bad bots are used by cybercriminals to look for vulnerabilities that they can use to infect your site with malware. A WAF can block these bots and greatly reduce your chances of a malware infection. Use strong, unique passwords. Weak passwords just make a cybercriminal’s job easier. If you’re worried about remembering all of your passwords, store them in a trusted password manager. Get compliant. PCI compliance ensures that business and customers are protected from cyber attacks and fraud – not to mention that failure to comply can result in heavy fines. Use a website scanner. It bears repeating: a website scanner is the fastest, easiest and most reliable way to remove website malware should it occur. A malware infection is something you never want to experience, and fortunately, they’re something you can prevent. If you’re ready to get protected, check out SiteLock’s WAF and website scanning solutions. You can also learn more about the SiteLock experience and see how we’ve helped other websites in the event of a malware attack.